Local heritage sailing company, Jus’ Sail, is holding a unique fundraiser on Monday 12th December in support of its sixth annual youth sail training programme. Each year, Jus’ Sail take a cohort of unemployed local youth, 18-25 and prepare them for work in the marine sector through sail training, certification and personal development. 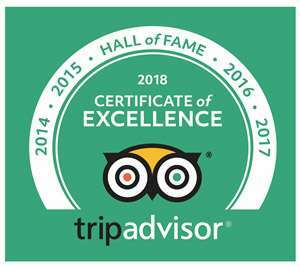 Their graduates have been successfully placed in full time employment within a number of local companies, with high rates of satisfaction. Vanishing Sail is a multi-award winning documentary taking over five years to film and produce. The movie follows the challenges and successes of one of the regions last remaining traditional boat builders. Alwyn Enoe is one of the last boatbuilders in the Eastern Caribbean, practicing a trade passed down the generations from Scottish settlers that arrived here more than two centuries ago. Approaching his 70s and with no more orders coming in, he decides to build one last sailing sloop with the hope that his sons will continue the trade. The film follows Alwyn’s progress and despair over three years – from hauling his trees out of the forest to a final traditional launching ceremony on the bayside. Stories of trading by sail and smuggling contraband, told by some of the last old Caribbean sea characters weave through the film like the currents through the reef. Jus’ Sail’s own vessel, Good Expectation, is an authentic Carriacou Sloop, built in 1984 on the same stretch of beach in the community of Windward, Carriacou in which Vanishing Sail is set. She also features in the movie in the opening credits. 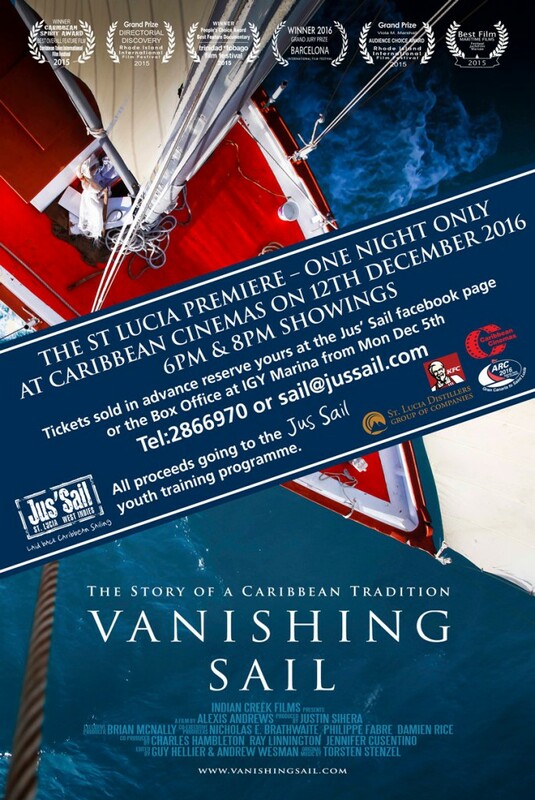 As such, it was a natural decision for Jus’ Sail to want to bring the movie to St Lucia and to hold its premiere as a fundraising event for the continuation of the youth training program, which seeks to reconnect our St Lucian youth with the regions long heritage of sailing and sea-faring. The premiere is an official event on the ARC calendar and Jus’ Sail are extremely grateful to World Cruising Club, the organisers of the ARC, for being the major sponsor of the event. Additionally, Jus’ Sail wish to acknowledge the support of Caribbean Cinemas in hosting the screening, KFC for their support and St Lucia Distillers for their continued support through providing drinks before the screenings. The evening on Monday 12th December consists of two screenings at 6pm and 8pm with an informal welcome within the cinema complex, where drinks will be available for purchase prior to the screening from 5pm for first screening and 7pm for second screening. All drinks revenues will go to support the programme so drink up! Tickets go on sale at the IGY Rodney Bay Marina from Monday December 5th, however, they can be reserved through the Jus’ Sail facebook page which is recommended as tickets are extremely limited for this one night only event. Tickets are $30 and a Jus’ Sail Tshirt and Ticket combo is $80. All profits go to support the training programme. For more information check the Jus’ Sail facebook page and tickets can also be reserved by calling 2866970.